The day that thousands of Upper East Side NYC residents have been waiting for is finally here! January 1st, 2017 marked the opening of the Second Avenue Subway line. For those of you who did not know, an initial project idea was introduced in 1929 and failed to go through several times during the course of the 20th century. Phase 1 had finally been commenced in 2007 which means it took about 10 years for it to be completed. Four new stations have been built up until now: 63rd, 72nd, 86th and 96th Streets. I happened to live close to the 72nd St station and what I can tell by far – this is one of the coolest stations in an entire New York City! Let me take you on a tour and show you what’s inside. As expected, the station is very modern looking and what I’ve heard so far, it is one of the most ambitious contemporary art projects that the Metropolitan Transportation Authority has ever undertaken. At the beginning of 2009, 4 out of 300 artists around the world were selected to transform the stations into their own installations. I used the 72nd St station today for the first time and took some photos there. 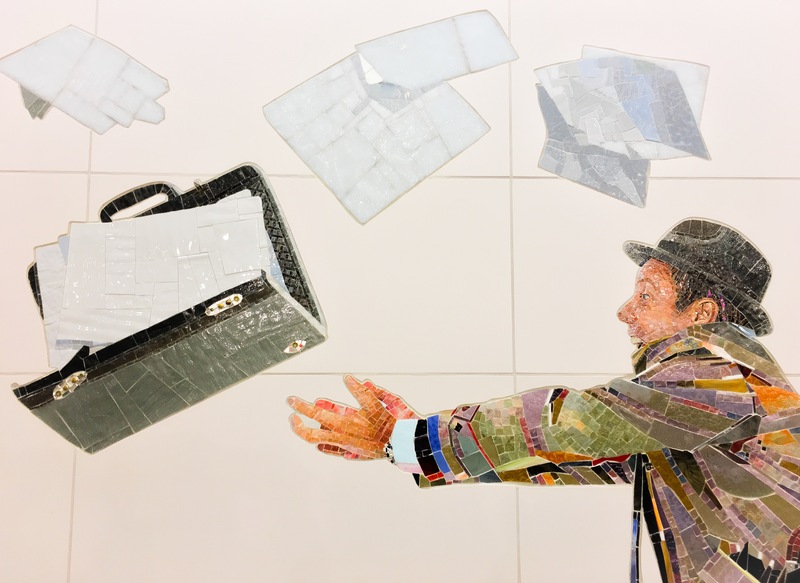 The work featured in 72nd St station is by Brazilian artists Vik Muniz who lives between New York City and Rio de Janeiro. If these art works don’t wow you then I don’t know what does because they are fantastic and represent New Yorkers so well. Next week I’ll try to travel a bit up north and see how the rest of the new stations look and hopefully will make another post.